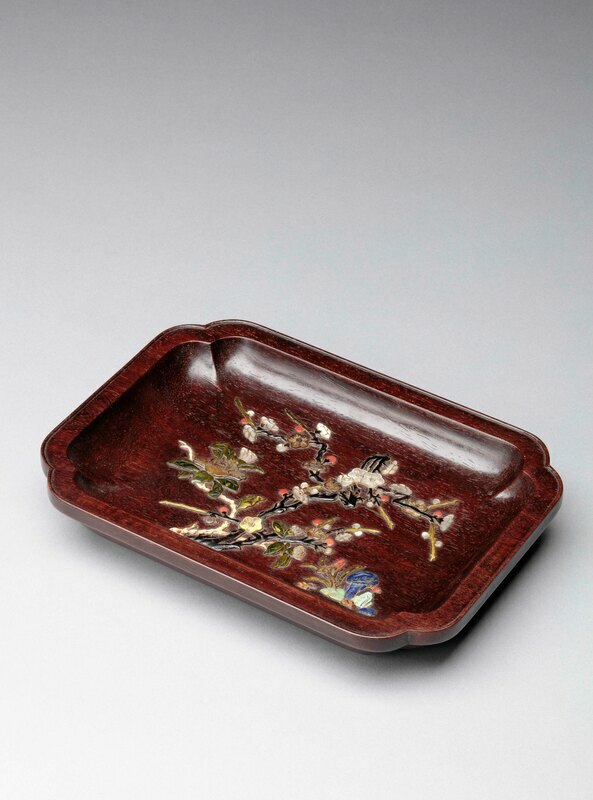 A zitan tray of rectangular shape with lobed corners and raised, beaded edge and flat rim. 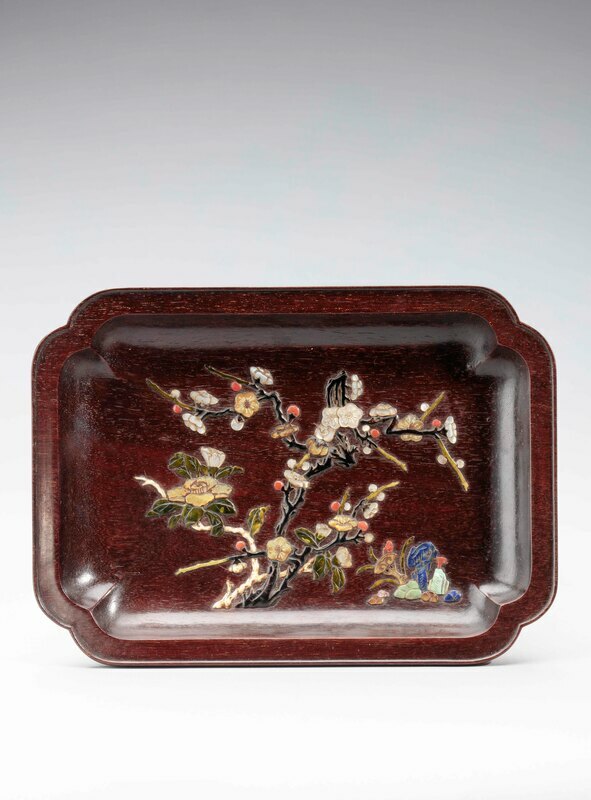 The well is inlaid with budding and flowering branches of prunus, camellias and a stand of auspicious lingzhifungus in mother-of-pearl, coral, white and green-stained bone, malachite, lapis lazuli, turquoise and ebony. 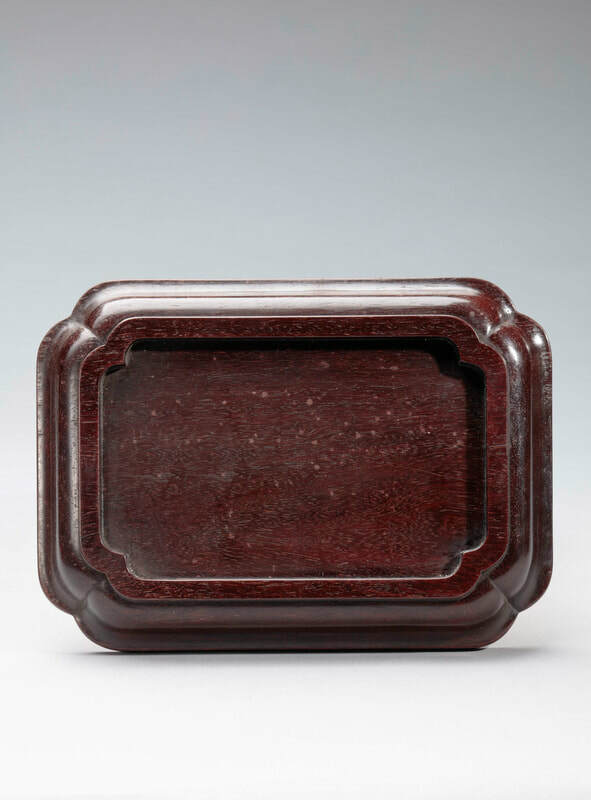 For a discussion of this type of inlay that originated in the Zhou Zhu workshop (hallmark Zhouzhi) of the late Ming dynasty, see Curtis Evarts, “The Zhouzhi Tradition, Inlaid Hardwood Furnishings of the Late Ming and Qing Dynasties” in Liang Yi Collection, Small Objects(Hong Kong, 2007), pages 62–75. For a brushpot inlaid in the same technique, see number 21 in this catalogue.